1. 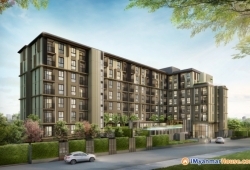 Select your condominium of choice in Thailand. 2. Pay deposit: 50,000-100,000 baht. 3. Our partner in Bangkok will accompany the customer to Kasikorn Bank to open a bank account in Thailand with the booking agreement. 4. Transfer money to the Thai account from overseas, specify: living expenses or travel expenses. 6. Developer inform the customer of defect inspection of the unit. 2. 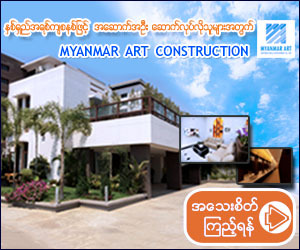 Buyers can also transfer money directly to the developer, however it has to be of another currency (e.g US Dollars, USDX), the kyat currency of Burma is not allowed. 2. WHY BUY PROPERTY IN BANGKOK? Bangkok is the capital city of Thailand, it is known as the City of Angels. It is one of the hottest destination for tourist. Bangkok is one of the fastest growing city in Asia, it is also the center of Thailand’s economy. More than 10 mega-projects are currently undergoing construction in the heart of the city. Major Thai corporations like TCC Group, Singha Corporation and Siam Piwat are dramatically transforming Bangkok’s urban landscape with multi-billion-baht Mixed-Use projects. 1. Freehold Property. No Estate Tax, No Property Tax, No Demolitions. Family can own the property indefinitely. 2. Ultra-low prices, high returns, stable rental income. 3. High-quality decoration. Price according to the Private area, additional public area costs are not required. 5. Low property price, low down payment, low interest rates. 6. Stable political status, steady economic growth, property prices continue to increase. 7. Thailand, the best place for retirement in the world. 9. No buying limit, No credit limit. It is also the second largest city in Southeast Asia and the headstream of ASEAN..
Official religion: Buddhism. It is known as “Buddhist capital”. 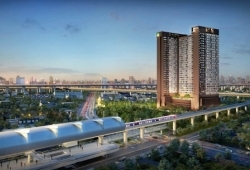 Airport Rail Link: Phaya Thai to Suvarnabumi Airport. The rise of medical tourism in recent years, attracting over 2 million people per year. More high-end medical service - with same level and standards as Europe, America and other developed countries. Lower medical charge - only 50% of charge of Europe, America and other developed countries. According to a recent medical tourism marketing research report, Samitivej Hospital Bangkok and Bumrungrad International Hospital were amongst the first Southeast Asia’s recipients of the prestigious Joint Commission International (JCI) certification from the United States. More luxury medical experience - Good medical facilities, gentle nurses, comfortable waiting area. Thailand has 25% of international schools throughout Southeast Asia, mainly dominated by A-level and IB systems. In 2-3 years. Tuition fees are lower than many other countries. Property tax rate from 1 - 3%; inheritance tax over-progressive system, maximum tax rate 55%. The ultra-high taxes rate are also the source of Detroit’s real estate depression. Property tax - self-occupied : estimate annual rent under SGD55,000 4% tax. For example, in Vancouver, the British Columbia provincial government levy 15% property transfer tax for foreign buyers. Which is 7.9 times compare with Canadian buyers. Second-hand housing transfer tax depends on the period of years to calculate the tax. Foreigners who sell the property within 5 years need to pay 30% of the added value. BND 1.10 (PhP 36.33)/ sq.m. if located outside the center of the city. 5. Aliens or juristic persons regarded by law as aliens who have bought in foreign currency into the Thai Kingdom or withdraw money from Thai baht account of the person who has residence outside the Kingdom or withdraw money from a foreign currency account. There are no restrictions on nationality and every foreigner who can enter Thailand legally has the right to buy and own a condominium unit within the foreign ownership quota of the condominium. Any foreigner who inherits a condo unit must separately and individually qualify for ownership under the section 19 of the Condominium Act or he or she must (section 19 under 7) sell the unit within one year of acquisition inheritance. The foreign heir must disown the condo unit within 1 year. The right of foreign ownership of a condo in Thailand is granted to the individual foreigner not his foreign successors. A foreigner is freely permitted to rent out his or her unit, unless the bylaw of the condo states certain rule and regulation. A foreigner in Thailand are subjected to the Accessible Income Tax from Thai sources. If the rent acquired is over 50,000 baht per year, the non-resident’s Personal Income Tax (Revenue Code Section 40 Under 5) will be considered a criterion for taxation. Housing and Land Tax must be paid. 2. Location, area and plan of the apartment showing the Width, Length and Height. Sukhumvit is famously known as the main downtown commercial and residential district of Bangkok. It is widely recognized for its urban and upscale condominiums, restaurants, bars, nightlife, shopping malls and luxury hotels. The BTS Skytrain ‘Sukhumvit Line’ cuts through all major areas of Asok, Phrom Phong and Thong Lo, all the way from Mo Chit to Samrong. The Sukhumvit areas are well-maintained. The prices of property and land are highly competitive. Silom and Sathorn district is one of Bangkok’s oldest CBD. These zones are the main location for major head offices namely, Bank of Ayudhya, Bangkok Bank and Kasikorn Bank. The area has a high expat population with luxurious serviced-apartment, hotels, bars and restaurants in the area. The New CBD of Bangkok. Boasts the tallest building in Asean ‘Super Tower’. A high Chinese population. Lifestyle focused neighbourhood, shopping malls (Central Plaza Rama 9, Fortune Town, and The Street Ratchada, Ratchada Night Train Market). Situated along the Chao Praya river, the old city is where the true beauty of Bangkok lies. The area is blessed by amazing attraction sites such as the Grand Palace, Wat Phra Kaew, Wat Pho and Wat Mahathat and Sanam Luang historic park. Chatuchak area famous its park and vibrant and popular weekend market. It is one of the largest market in asia, Situated on Kamphaeng Phet road, accessible via Kamphaeng Phet MRT station. It is divided into different retail zones, ranging from fashionable clothing, shoes, home appliances, to gardening plants and pets. There is also a Bus Terminal with Northern, Central, Eastern and North-Eastern services to Thai provinces and neighboring countries. Chulalongkorn University is the highest-ranked of all universities in Thailand, it is ranked 245th in the QS World University Rankings® 2018 and 50th in the QS Asia University Rankings 2018. Mahidol University rqanks 58th in the Asian rankings and 334th in the world university rankings. Established in 1888 as Thailand’s first medical school, Mahidol University is now a public research university with a particular emphasis on health sciences. Other projects of Pruksa : Chapter One, The Reserve - Kasemsan 3 and The Seed Phaholyothin. 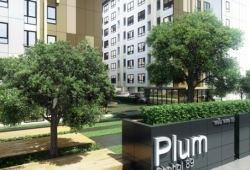 Project builsing : Condominium has 20 buildings, 8 floors and 948 units in total .